A portion of the fund will be used to look at restoring the B-listed doocot. 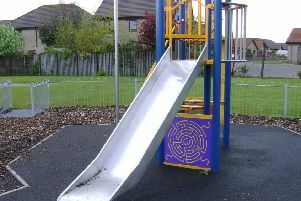 A north east Fife community group has received funding to create new facilities. The Boarhills and Dunino Community Trust (BDCT) has been awarded a £8000 grant by the Scottish Land Fund (SLF) to look at the feasibility of restoring a B-listed doocot and for the drawing up of a business plan for their proposals to develop the area. After a survey in 2015 highlighted a lack of green space in Boarhills, an area was identified on the edge of the village which could be developed to the benefit of the community. The group aim to turn the site, which includes the doocat, into a recreational area and develop an orchard. Architects Simpson and Brown have been appointed to evaluate the costs of restoring the doocot, and business consultants SKS Scotland will help draw up the business plan, in co-operation with members of the Trust. The area is currently subject of a Community Right to Buy application. A ballot by post is to be held this month to determine the level of support for the purchase of the land. The SLF offers grants to help communities take ownership of land and buildings that matter to them, as well as practical support to develop their aspirations into viable projects.